After his impressive knock out over Psychos Black Belt Sammy Kerns, Danny returns to the Ring on to take on another Psychos fighter in a three round kickboxing showdown. 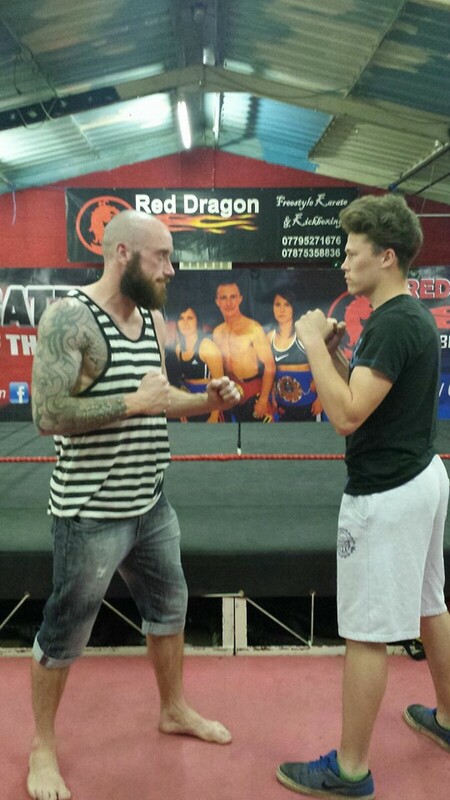 After a long and tough training camp and a severe weight cut, Danny weighed in at 78.4 Kg which was a little under the weight required to match his opponent Josh Murrells, a welsh title holder from Psychos Martial Arts. Danny started strong with a clean punch that off balanced Josh, after this the fight became a hit and run affair with his opponent turning and doing a great job of avoiding the power of Danny and firing back with some nice turning kicks. 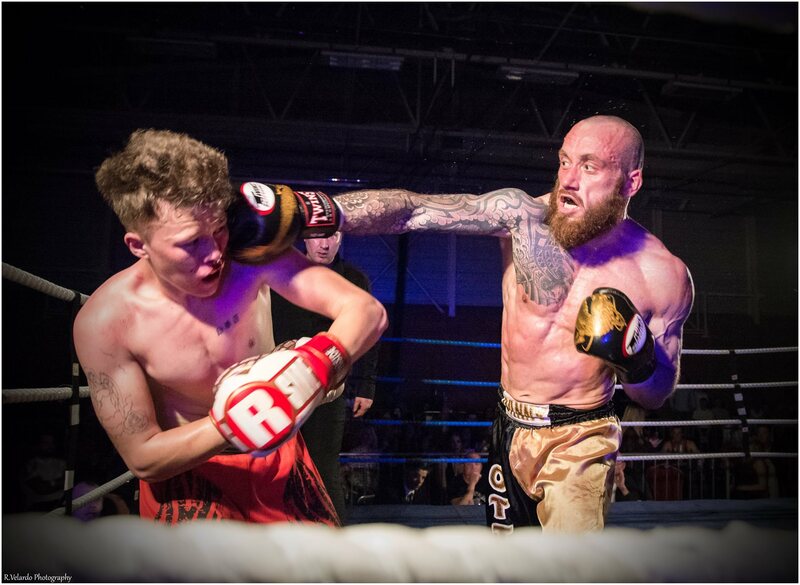 The second round was exciting with shots being exchanged between the fighter s and Josh catching Danny off balance which knocked him to the canvas, the referee saw this as a knock down and gave Danny an eight count. Danny was fired up and poured on the pressure to Josh, overwhelming him and causing damage to his eye and eventually the referee stepped in to give an eight count to josh; leveling the round in terms of eight counts. In the third round Danny demonstrated his fitness and continued to pile on the pressure in much the same way as the previous two rounds, by now it was evident that Josh was tiring. Much respect to Josh for this match up, he is truly a tough competitor. Many thanks to Richard Verlado for his photography.